Did you know that TrainingPeaks has several tools in place to help you plan for a group of athletes? 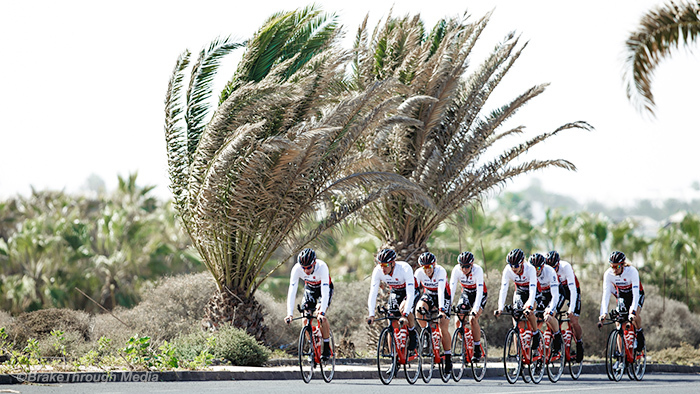 Whether it is a team that is training together or a group preparing for the same event, we have you covered with the group calendar, dynamic plans and the coach’s Home view. In order to get started with groups, you first need to create a group. At the most basic level, creating groups of athletes can help to organize your stable of clients, but groups also serve a higher purpose—allowing you to plan and review multiple athletes at the same time. Now you can add athletes to the group by clicking and dragging them into the desired group. Once you have your group created you are ready to start planning for them. To plan for a group, go to the calendar and open your athlete library. Now either click and drag the group onto the calendar, or hover over the title bar so the hamburger menu (three horizontal lines) appears. Click it, then click “Load.” This will load one week of the calendar for each of the athletes in this group. From here you can create workouts on a single athlete’s calendar by clicking the “+” icon on the day, drag workouts from the workout library onto an athlete’s calendar, drag workouts from one athlete to another to paste a copy of the workout on that athlete’s calendar, or drag a workout from the library onto the day title at the top to add that workout to everyone’s calendar on that day. Using the group calendar can be helpful when planning for a club or team of athletes doing similar workouts. While they may not all be training for the same event, they may be on a similar plan. Using the group calendar allows you to see everyone’s calendar side by side and then plan similar workouts when it makes sense. Loading the group calendar also makes it easy to review a group’s training for the week and can be used as a way to get a high-level view of what the athletes have been doing. You can also go to the Home view to perform a high level analysis of uploaded workouts, comments, subjective feedback and more. Learn more about the Home view. In addition to the group calendar we also have Dynamic Training Plans. In TrainingPeaks a training plan is a template of workouts that can be applied to an athlete or sold in the TrainingPeaks Plan Store. With a standard training plan the dates don’t really matter, it is a block of training that can be applied to an athlete to start or end on any date. Dynamic Training Plans, however are—dynamic! This is a plan that updates in real time any time you make an edit to the master plan. For example, I could apply a Dynamic Training Plan to one hundred athletes all training for the same event and any time I add or change workouts in the master plan it will update in all of those athletes’ personal calendars. So, rather than having to write the same plan for 100 athletes every week, I could write the plan once saving myself loads of time. As mentioned, this method of group planning is best for athletes training for the same event and doing the same workouts. Training is highly individual and should be tailored to an athlete’s personalized zones. But if you are planning for a big group of athletes, then writing the targets for each of their workouts could take a lot of time! If you are a volunteer coach for a club with a full-time job, then you probably do not have that time. Using the Workout Builder to create structured workouts will customize the workouts you create to each athlete’s zones based on their threshold power, pace or heart rate. If you are planning with a dynamic training plan, you can drop a structured workout onto the master plan and it will populate the zones for each of the athletes when it is updated on their calendar. If you are coaching a group of athletes training for the same or similar events, save yourself some time and start using the group calendar and/or dynamic plans and structured workouts to deliver the backbone of their training. You’re a busy coach so do yourself a favor and streamline your process today!